Located on Woodward and Garfield between the Detroit Symphony Orchestra and the Detroit Institute of the Arts, Wayne State University and the College for Creative Studies, the museum is an innovative addition to Detroit’s vibrant Midtown neighborhood, and functions as a hub for the exploration of emerging ideas in the contemporary arts. The 22,000 square foot building, a former auto dealership, has been simply renovated to maintain its historic character. With its raw, flexible and cavernous spaces, the building is well suited to the exhibition of contemporary art. Our ambitious series of public programs includes lectures, musical performances, films, literary readings and educational activities for children. 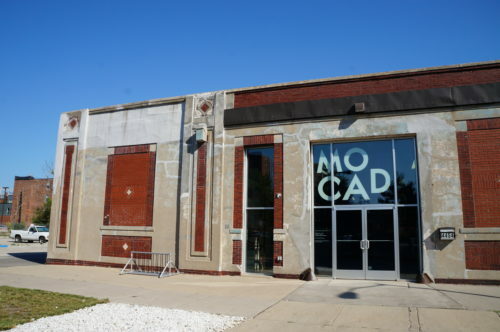 MOCAD’s building has ground-level entry, with one accessible main entrance and is a one-story building with no need for stairs or elevators. The building is accessible by public transportation, and has designated handicap parking spaces. The assembly areas of the building are adaptable to integrated and dispersed wheelchair seating as necessary. MOCAD’s exhibit areas and counters are wheelchair-accessible. The gift store manager is aware of ADA requirements and trains staff how to assist those with extra needs. Guided tours are available for those who are vision impaired. MOCAD has a list of sign language interpreters to call in as needed for our lectures and talks. Our bathrooms are wheelchair-accessible, with accessible sinks and water fountains. MOCAD has a designated staff member responsible for overseeing accessibility. Front desk staff are trained to address accessibility questions and service animal etiquette. If you are in need of accommodations, please contact Amy Corle at acorle@mocadetroit.org. 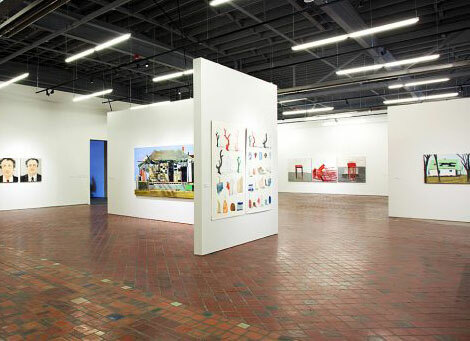 The Museum of Contemporary Art Detroit began in 1995 when Detroit Free Press art critic Marsha Miro and the late Susanne Hilberry, renowned owner of the former Susanne Hilberry Gallery, envisioned a new museum that would expand Detroit’s contemporary art community. 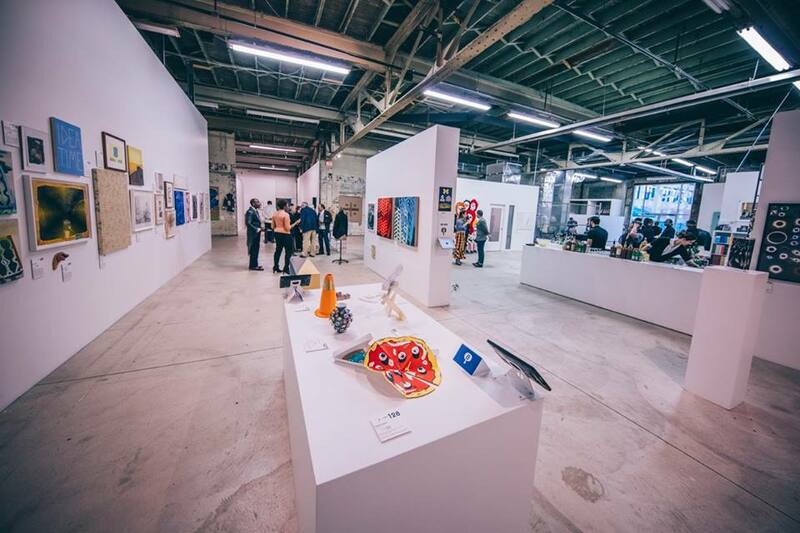 By connecting to the national and international art world, MOCAD was intended to be a nexus for educating the public about current arts and music, and play a critical role in helping regenerate the City through the arts. Miro, MOCAD’s Founding Director, began working with a small circle of contemporary art lovers and collectors to help realize the idea. Miro approached the Detroit Institute of Art’s Richard Manoogian who saw the importance of the project immediately and agreed to support it. In January 2004, Miro and an advisory group of Masco/Manoogian Foundation directors—Lillian Bauder, Sharon Rothwell, and Melonie Colaianne–began envisioning the new museum with the help of the arts community. At their suggestion, Manoogian purchased and began renovating an old car dealership on Woodward Avenue and Garfield Street in Midtown Detroit for what would become the museum’s home. To rethink the 22,000 square foot building designed by famed Detroit industrial architect Albert Kahn in the turn of the century, Miro suggested using then-Detroit architect Andrew Zago. Rather than building the ubiquitous “white box,” Zago designed the structure to reflect the building’s evolution, making it an assemblage of periods old and new. Miro began planning with the help of Lynn Crawford, Cate Strumbos, Burt Aaron, Mitch Cope, John Corbin and Julie Taubman. Taubman was critical to bringing acceptance of the idea of MOCAD to the corporate and individual community. She organized the first major fundraiser, developed various art projects, and assembled the first board members, including Keith Pomeroy, Linda Powers, Shelley Tauber, Linda Dresner, Terry Rakolta, and Sandy Seligman. The new museum’s inaugural exhibitions were critical to establishing the importance and ambition of MOCAD. International curator Klaus Kertess organized the first exhibition, Meditations on an Emergency, which confirmed the museum’s commitment to looking at issues particular to Detroit through the lens of the arts. Influential African American contemporary artists Kara Walker, Mark Bradford and Nari Ward showed work in Detroit for the first time. 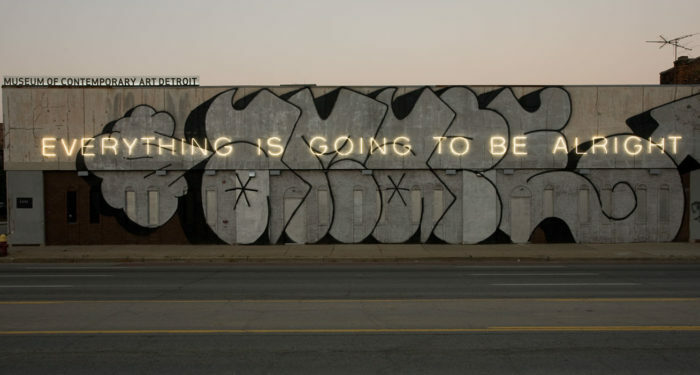 Artist Barry McGee covered the front of the building in graffiti, symbolizing that the museum would not be confined within its walls but reach out into the streets. On October 28, 2006 the museum’s grand opening welcomed 2,500 people: they were a wide mix of the community, hungry and excited for a place where they could experience what was happening in the arts. The second exhibition, Shrinking Cities, was organized by the German Cultural Foundation and explored the challenges and changing reality of Detroit and other international post-industrial cities. A fashion show by the avant-garde designer of Comme des Garcons, Reå Kawakubo, signaled that MOCAD was not going to follow the traditional fine arts model. Exhibitions like Words Fail Me, curated by British curator Matthew Higgs, highlighted the museum’s international and conceptual slant, while The Past Is Present, organized by the former Susanne Feld Hilberry Senior Curator at Large, continued to focus on Detroit’s rich history of murals and their impact on the character of the city. Meanwhile, the murals featured on the exterior walls of MOCAD would continually change. Following McGee, Andrew Kuo’s geometric confection Living Canvas animated the front and north façades, while graffiti artist Sean Nekst took over the south side. Sanford Biggers later added to Kuo’s work with a depiction of a cheshire cat grin. MOCAD’s performance history is equally rich, hosting artists such as Paul McCarthy, Kim Gordon (Sonic Youth), Goat, Phill Niblock in collaboration with the Ann Arbor Film Festival, Kraftwerk, Julianna Barwick, RoseLee Goldberg of Performa, and Detroit techno legends Derrick May, Juan Atkins, and Kevin Saunderson. 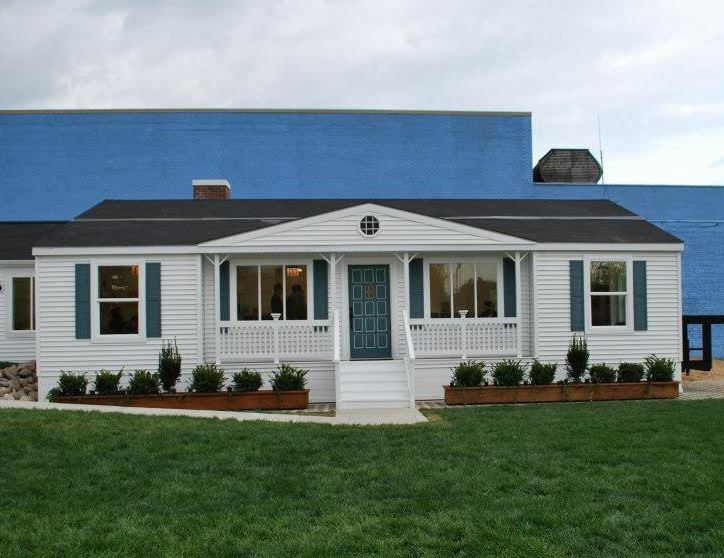 On May 11, 2013, MOCAD opened its sole permanent installation: Mike Kelley’s Mobile Homestead, a trailer-mounted life-size replica of Kelley’s childhood home in Westland, Michigan. Kelley-a former Detroiter and one of the most important artists of our time-began working on the idea with Marsha Miro and James Lingwood of London’s ArtAngel in 2006. A long time friend of Miro’s, Kelley for years had suggested that the project be located at MOCAD and worked to realize the Homestead until his death. In 2012 the trailer section traveled around Detroit and to Los Angeles for the Mike Kelley retrospective in 2014. The permanent installation has two private subterranean levels in addition to the trailer. Kelley conceived Mobile Homestead as a work of art that would continue to change.The ground floor was intended as a community space and since its inception has hosted projects as diverse as a nail salon, jam sessions, a quilting circle and art classes, as well as exhibits of the history of the local alternative press and election memorabilia. In 2013, Elysia Borowy-Reeder arrived to serve as the Executive Director. With her she brought stability and a significant vision for the museum’s future. Borowy-Reeder worked to ensure both continuity and longevity in programming, while sustaining MOCAD’s commitment to focusing on Detroit-made art. Recent exhibitions include installments of Detroit Affinities, part of the multi-year public education program DETROIT CITY. 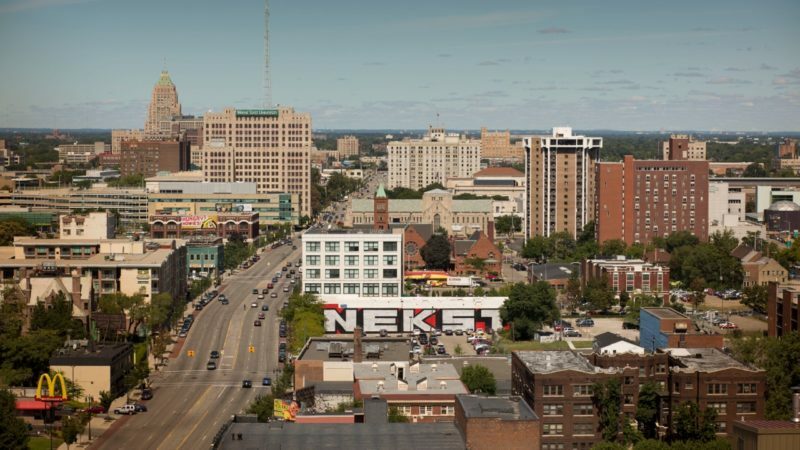 Organized by former Susanne Feld Hilberry Curator at Large, the series was designed to spark an interplay between Detroit artists and those from outside, both nationally and internationally. Since 2014, solo exhibitions in the series have featured new work from artists John Maggie, Jamian Juliano-Villani, Greg Fadell, Jonathan Hernández, Steve Shaw, Annette Kelm, and Matthew Angelo Harrison, Adriana Martinez, and Alivia Zivich. A solo show of paintings by Detroit Cass Corridor artist Nancy Mitchnick was a highlight of spring 2016, and a major installation by Sanford Biggers followed. In addition, MOCAD partnered with Culture Lab Detroit and Bedrock Productions to facilitate an off-site installation by New York artist Gary Simmons. In February 2017, The Architectural Imagination traveled to Detroit from United States Venice Biennial Pavilion. MOCAD is proud to have served the contemporary arts community throughout the last decade and we look forward to 25 years of MOCAD, then 50, and then a century. MOCAD Operations are supported by Masco Corporation, Erb Family Foundation, The Kresge Foundation, the Michigan Council for Arts & Cultural Affairs the J. Christopher and Anne Reyes Foundation, and the National Endowment for the Arts. The John S. and James L. Knight Foundation supports MOCAD in experimenting with technology and new media to engage regional and international audiences both inside and outside the museums’ walls. Supported programs include Daily Rush, an online exhibition program for experimental media and moving image; Radix: Experience in the Age of Digital Everywhere, MOCAD’s long-term new media and technology initiative; and a series of future-focused, technology-based enhancements to the MOCAD campus. The Erb Family Foundation approved unrestricted operating support for 39 cultural and arts organizations, including larger organizations that have had historical significance to the family and other organizations that are essential elements of a strong core central City and vibrant neighborhoods. MOCAD’s 2016-2021 Strategic Planning Initiative is funded in part by a generous grant from the Kresge Foundation. MOCAD professional development funding is provided by Michigan Council for Arts and Cultural Affairs (MCACA) through a mini-grant from the Region 10b Regional Regranting Agency, CultureSource. Mike Kelley’s Mobile Homestead is commissioned by Artangel in association with MOCAD, LUMA Foundation, and Mike Kelley Foundation for the Arts, with the generous support of the Artangel International Circle. Support for Mike Kelley’s Mobile Homestead is provided by the Mike Kelley Foundation for the Arts. MOCAD would like to thank our Leadership Circle (Linda Dresner and Ed Levy, Roz and Scott Jacobson, Sonia and Keith Pomeroy, Jane and Ed Schulak, Sandy Seligman and Gil Glassberg, and, Robert Taubman) for making these programs possible: Mike Kelley’s Mobile Homestead, Lectures, Poetry, Performance Art, Exhibitions, Film, DEPE Space, Music, Family Day, Public Programming, Education, Literature, and Museum Operations. 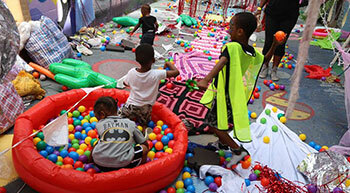 ​Exhibitions and public programs are supported by the A. Alfred Taubman Foundation. Support for the Susanne Feld Hilberry Senior Curator is provided by the Susanne Feld Hilberry Endowment for the Arts and the Ford Foundation. 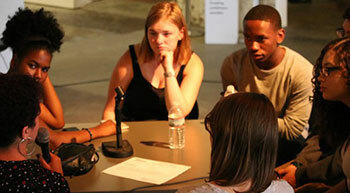 The Ford Curatorial Fellows are supported by the Ford Foundation. 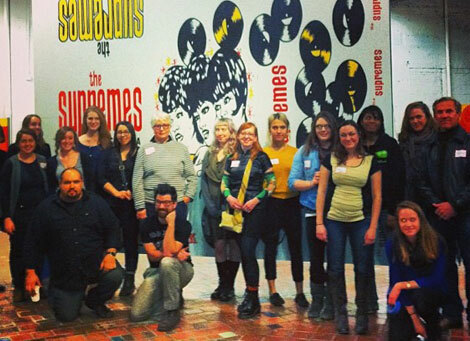 The Intersection, an ongoing program developed by the Ford Curatorial Fellows, is supported by the Community Foundation for Southeast Michigan and the Michigan State University Hub for Innovation in Learning and Technology. The J. Christopher and Anne Reyes Foundation has generously provided support for education and outreach. The ESB/SKS Junior Docents and other educational programs are supported by the Edith S. Briskin/Shirley K. Schlafer Foundation. MOCAD Youth Programs are graciously funded by the Applebaum Family Compass Fund, the Mandell and Madeleine Berman Foundation, the Vera and Joseph Dresner Foundation, the Michigan Council for Arts and Cultural Affairs (MCACA), MGM Resorts Foundation, and Heart of Neiman Marcus. Additional funding for programming and educational initiatives is provided by the Edith S. Briskin/Shirley K. Schlafer Foundation. Youth programs are graciously funded by the Applebaum Family Compass Fund, the Vera and Joseph Dresner Foundation, Heart of Neiman Marcus, MGM Resorts Foundation, and Michigan Council for Arts and Cultural Affairs (MCACA). The Mike Kelley Mobile Homestead is commissioned by Artangel in association with MOCAD, LUMA Foundation and Mike Kelley Foundation for the Arts with the generous support of the Artangel International Circle. 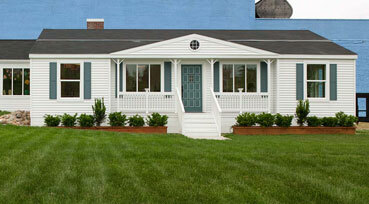 Support for Mike Kelley’s Mobile Homestead is provided by the Mike Kelley Foundation for the Arts. Donor list updated December 31, 2018 and all donations received in the previous 12 months. We thank all previous donors to MOCAD. If we have made any errors regarding your annual listing please contact the Museum at info@mocadetroit.org or by phone at 313.832.6622. Click below for a downloadable PDF of the Executive Summary of MOCAD’s Strategic Plan.